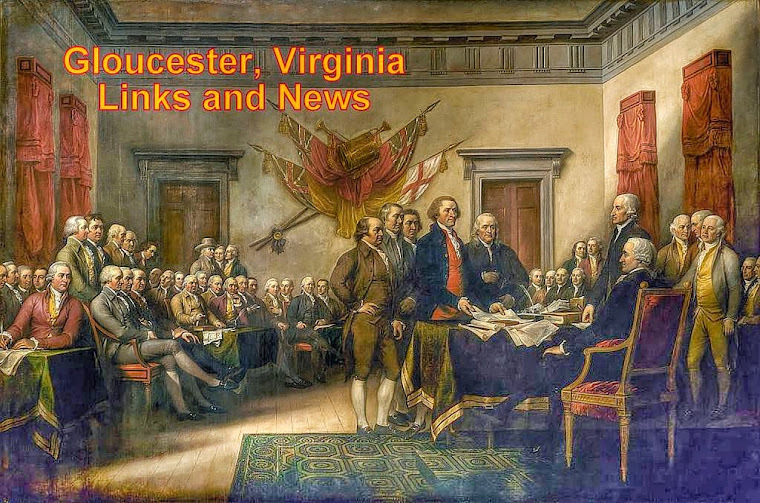 The above is a link to the recent Gloucester County, VA Board of Supervisor's meeting held on January 2nd, 2013. At one hour and twenty minutes into the video, Steve Baranek comes into the room to speak on behalf of Carl (Chuck) Shipley announcing overhauling Animal Control Codes. The following is re printed from the Gloucester County web site regarding this. Gloucester County Code, Animals and Fowl. Chapter 3 of the County Code, governing animal welfare and control, was last amended in 2009.
and to more closely track the language of State enabling legislation. proposed amendments to Gloucester County Code Chapter 3, Animals and Fowl. January 2012 Note: Please confine summary to one page. The following is the new proposed codes re printed from the Gloucester County Info web site. changes, and to more closely track the language of State enabling legislation. with the provisions which follow. Article I. In General§ 3-1. Penalty for violation of Article I. § 3-3. Duties and authority of animal control officers. § 3-6. When unlawful for animals to run at large. § 3-7. Maintenance of animals and fowl. and custodians; procedure for establishing quarantine. § 3-11. Notification by individuals finding companion animals. § 3-12. Releasing agencies registration required. § 3-13. Cruelty to animals. § 3-14. Use of fireworks causing injury to animals. § 3-15.12. Abandonment of animals. § 3-17. Animals riding in open vehicles. § 3-18. Animals in enclosed vehicles. § 3-19. Seizure and impoundment of animals. § 3-20. Impoundment and redemption of livestock found at large. § 3-21. Casting carcass in road; disposition of carcasses. applicable provisions of state dog laws. § 3-29. Penalty for violation of Article II. § 3-30. License required; unlicensed dogs prohibited. § 3-31. Amount of license tax, kennel tax; exemptions. § 3-32. When license tax due and payable. § 3-35. Payment of license tax subsequent to summons. § 3-38. Dangerous and vicious dogs. § 3-46. Running at large--Prohibited in regulated areas. § 3-48.1. Business license required. § 3-48.2. Commercial dog breeding; requirements. § 3-48.3. Right of entry. § 3-48.4. Concurrent operation of releasing agency prohibited. § 3-51. Vaccination or inoculation against rabies required. § 3-52. Certificate of inoculation or vaccination to be issued. dogs and cats when rabid animal at large.§ 3-54. Report of existence of rabid animals. § 3-55. Reporting of animal bites. animals showing signs of or suspected of having rabies. may have exposed a person. § 3-60. Penalty for violation of Article III. Sec. 3-1. Penalty for violation of Article I.
control officer or sheriff's deputy. period of five (5) consecutive days. and condition of the animal. fasting normal for the species. (2) Interact safely with other animals in the enclosure. considered provision of adequate space. companion animal, from a releasing agency to an individual. Agricultural animals mean all livestock and poultry. Ambient temperature means the temperature surrounding the animal. purpose of finding permanent adoptive homes for animals. sheltered, fed, and watered in exchange for a fee. of the sale of their offspring as companion animals. shall not be considered companion animals for the purposes of this chapter. (4) For other good cause as determined by the court. permanent adoptive homes for companion animals. animal's health, safety, or life. street, or on the property of another. or prevent further disease progression. painless loss of consciousness and death during such loss of consciousness. excluding an exhibitor licensed by the United States Department of Agriculture. household pets sold by commercial pet shops or domestic farm animals. the wild, shall be excluded from the definitions of wild and exotic animals. animals are housed or kept. animals pursuant to such purposes. agency, care or rehabilitation is provided for companion animals. manicures, or treats for external parasites any animal. authority to enforce the regulations promulgated by the State Board of Health. humane care and treatment or adoption of animals. renting, buying, boarding, selling, or showing. specifically raised for food or fiber, except companion animals. the governing body of the county. of Virginia, and who adopts or receives a dog or cat from a releasing agency. (4) Acts as a custodian of an animal. corporation, association, trust, estate, or other legal entity. amphibian that causes injury, illness or death by chemical means. Poultry includes all domestic fowl and game birds raised in captivity. for the prevention of cruelty to animals. and the area within reach of the tether. facility; and to promote the well-being of the animals. to promote the well-being of the animals. practical minimum, agents injurious to health. use of pads, and use of action devices as permitted by 9 C.F.R., Part 11.2.
to section 3.2-5901 of the Code of Virginia. provided that its owner has been given notice of that finding. ingested such food, without nursing, for a period of at least five (5) days. Sec. 3-3. Duties and authority of animal control officers. state laws enacted for animal control and protection. officer or deputy animal control officer is appointed. 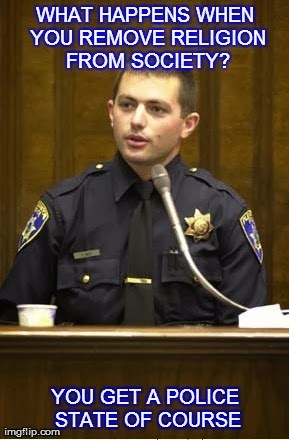 cause by an officer authorized to issue arrest warrants generally. in the performance of their duties conducting an investigation. of, any public street or highway. enclosed by fence or not.Sec. 3-5. Property line constitutes lawful fence as to certain animals. Sec. 3-6. When unlawful for animals to run at large. wherein such boundaries have been constituted and shall be a lawful fence. Sec. 3-7. Maintenance of animals and fowl. poisonous animals within the County of Gloucester. under the authority of this article. (4) Veterinary hospitals or clinics. (5) Any wildlife rehabilitator licensed by the state. (7) Any licensed or accredited research or medical institution. (8) Any licensed or accredited educational institution. (9) Any circus, rodeo or tradeshow. confinement sufficient to prevent the exotic animal from escaping. permit authorizing the keeping of said animal within the county limits. each animal held within the county limits as identified in subsection (b). exotic, venomous, or poisonous animal(s) into the wild. to an existing permit, or the duplication of an existing permit. costs for medical care or treatment. where the wild, exotic, venomous, or poisonous animal is kept or housed. Failure to post the placard shall be a violation of this section. owners and custodians; procedure for establishing quarantine. forthwith give notice thereof to the health director. provisions of sections 3.2-6000 through 3.2-6030 of the Code of Virginia. or fowl exposed to disease. person qualified to render care or treatment to such animal or fowl. Sec. 3-11. Notification by individuals finding companion animals. where the companion animal was found. section 3.2-6503 of the Code of Virginia and section 3-15 of this article. penalty not to exceed fifty dollars ($50.00) per companion animal. Sec. 3-12. Releasing agencies registration required. Sec. 3-13. Cruelty to animals. charged under section 3.2-6570(B) of the Code of Virginia. dehorning of cattle conducted in a reasonable and customary manner. construed to include birds and fowl. 3.2-6570(E) of the Code of Virginia. shall therefore be presumed not to have violated this subsection. the court from possession or ownership of companion animals. Sec. 3-14. Use of fireworks causing injury to animals. itself from fear of the fireworks. prevent suffering or disease transmission. shall not require that animals used as food for other animals be euthanized. 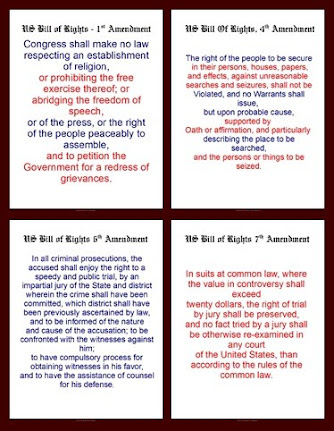 (a)(4), (5) or (6) is a class 3 misdemeanor. Sec. 3-15.1. Care of agricultural animals; penalty. water, or veterinary treatment due to an act of God. animals used for bona fide medical or scientific experimentation. (e) A violation of this section is a class 4 misdemeanor. Sec. 3-15.12. Abandonment of animals. any public highway, road or street, or on the property of another. shall be placed in a container and disposed of in a proper waste receptacle. Sec. 3-17. Animals riding in open vehicles. reaches eighty (80) degrees fahrenheit or greater. removal of the animal or its subsequent treatment and impoundment. Sec. 3-19. Seizure and impoundment of animals. of Va. Code § 3.2-6569.
the animal remains impounded, for each animal impounded. treasurer’s office prior to release of the animal to the owner. office prior to the release of the animal, fowl, or reptile to the owner. the appropriate court, but in no case shall such time exceed nine (9) months. Sec. 3-21. Casting carcass in road; disposition of carcasses. leave it to lie or be in a street, road, or public place. free from all exemptions in favor of such owner.Sec. 3-22. Bird sanctuaries. wounding or molesting birds, and molesting bird nests is unlawful. dog under the person's care and control to hunt therein. 1987, entitled "Plat Showing Survey of the Land of Edwin A.
supervision of the county administrator.Sec. 3-29. Penalty for violation of Article II. different class or punishment is provided therefor. Sec. 3-30. License required; unlicensed dogs prohibited. Sec. 3-31. Amount of license tax, kennel tax; exemptions. *Evidence from a licensed veterinarian required. tax applicable to a one-year certificate will be imposed. or other such activities of service or support. Sec. 3-32. When license tax due and payable. (30) days after an owner acquires a dog four (4) months of age or older. January 31 of each year. confiscation and proper disposition of the dog. Sec. 3-34. Issuance and design of license tag; required wearing of tag. treasurer's office shall issue a dog or kennel license. license, if they wish to license additional vaccinated dogs. period for which such license is valid. exacerbated by the wearing of a collar. required to bear a tag at the time, shall be on the owner of the dog. Sec. 3-38. Dangerous and vicious dogs. that the dog is not dangerous or a threat to the community. given notice of that finding. if known, to appear before the general district court at a specified time. prove its case beyond a reasonable doubt. property, shall be found to be a dangerous dog or a vicious dog. registration information on the Virginia Dangerous Dog Registry. of a tattoo on the inside thigh or by electronic implantation. of at least one hundred thousand dollars ($100,000.00). (7) The death of the dog. (3) Is sold, given away, or dies. which the animal has been moved. duties at the time of the attack. guilty of a Class 1 misdemeanor. section 3.2-6556 of the Code of Virginia. domestic animals; or trespassing upon school grounds and public parks. and control over such animal to prevent it from becoming a nuisance. or reptile, another animal or human being. Sec. 3-46. Running at large; prohibited in regulated areas. areas specified in section 3-47 shall be in violation of this section. lead or other means of restraint not harmful or injurious to the dog. of a Class 3 misdemeanor. Sec. 3-47. Official schedule of restricted areas for dogs running at large. Creek and the York River, the point of beginning. as it exists on July 1, 2008. * Magisterial District is listed to assist in locating the regulated areas only. Sec. 3-48.1. Business license required. business license issued by the county. Sec. 3-48.2. Commercial dog breeding; requirements. g. The disposition of each animal and the date. Sec. 3-48.3. Right of entry. Sec. 3-48.4. Concurrent operation of releasing agency prohibited. interest in any releasing agency. Sec. 3-51. Vaccination or inoculation against rabies required. or health department, the certificate of vaccination for such dog or cat. Agriculture for use in that species. the requirements of subsection (a) of this section within ten (10) days. such dog or cat. The vaccine used shall be licensed by the U.S.
Sec. 3-52. Certificate of inoculation or vaccination to be issued. vaccination certificate shall indicate the locality in which the animal resides. inoculation or vaccination is deemed to be effective. and cats when a rabid animal is at large. unlawful for any person to violate the provisions of any such ordinance. Sec. 3-54. Report of existence of rabid animals. Sec. 3-55. Reporting of animal bites. health department and to the animal control department within twentyfour (24) hours after the occurrence. showing signs of or suspected of having rabies. veterinarian and its head sent to the local health department for evaluation. approved by the State Veterinarian as provided in Va. Code § 3.2-6546.
shall be determined by the local health department. the methods approved by the state veterinarian. directed by the state agency with jurisdiction over that species. of a local health director. Services or be tested as directed by the local health department. same from being destroyed or confined in accordance with this article. Sec. 3-60. Penalty for violation of Article III. County Code entitled Animals and Fowl. These are the new Gloucester County Animal Control Codes awaiting approval. They are more clear than previous codes. This article does not constitute legal advice. 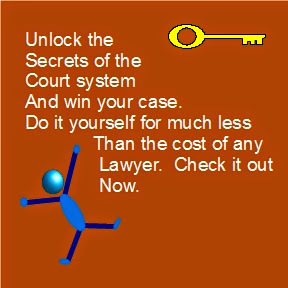 Only an attorney can legally advice you. This article is strictly our opinion based on our research and not meant to be a legal document or argument. We just question everything and share those questions with everyone. It's how society learns and grows.